Energy generation is due for a major clean-up as renewable sources see increased investment and the international community continues its efforts to tackle emissions. Designers are creating new industry trends with unusual power systems. Fossil fuels still dominate, but new initiatives aim to drive interest towards cleaner alternatives. 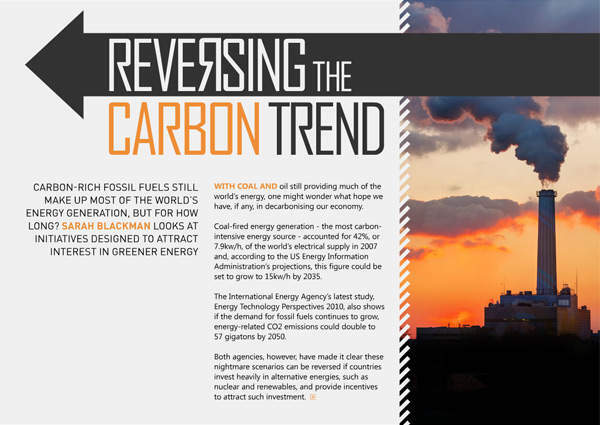 In this issue we investigate progress in the area of clean energy. 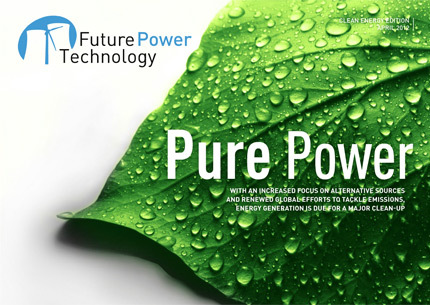 From bizarre and brilliant alternative energy systems to emerging power sources such as biofuels, we profile the latest advancements in ‘greener’ and cleaner energy production. We also explore initiatives and policies designed to attract interest in renewables and place them in a stronger position to compete with the still-dominating fossil fuels. As UN member states struggle to agree on how to tackle global warming, we review the Durban Climate Change Conference and recent international developments to identify the main challenges blocking a unified approach to cutting emissions. Designers are generating new trends with unusual power devices ranging from energy-generating dance floors to solar-panelled ‘ivy’. We profile some of the most original green energy systems in use today. 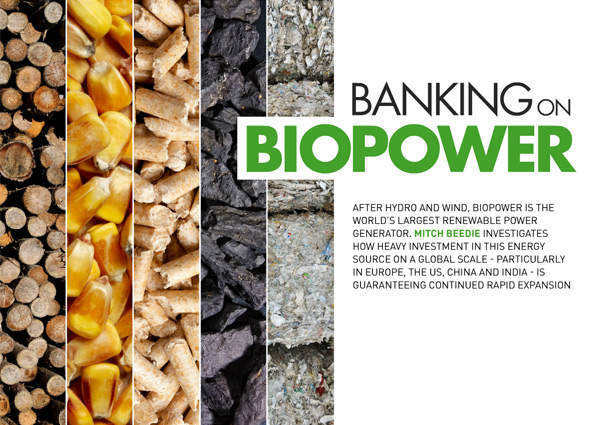 After hydro and wind, biopower is the world’s largest renewable power generator. We investigates how heavy investment in this energy source on a global scale – particularly in Europe, the US, China and India – is guaranteeing continued rapid expansion. Carbon-rich fossil fuels still make up most of the world’s energy generation, but for how long? 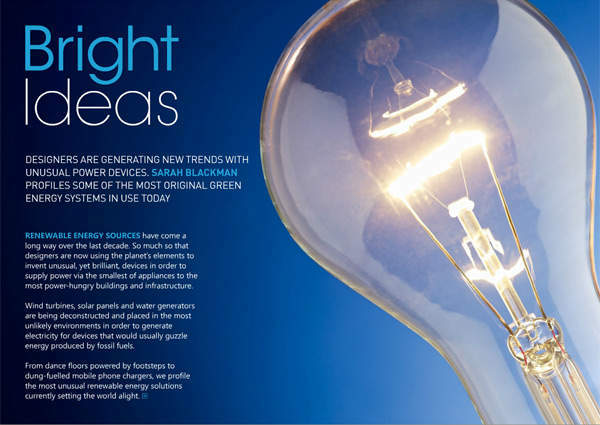 We look at initiatives designed to attract interest in greener energy. RWE npower’s Tilbury C power station in the UK has undergone a major conversion from coal-fuelled to 100% biomass operation. We take a look at the project. 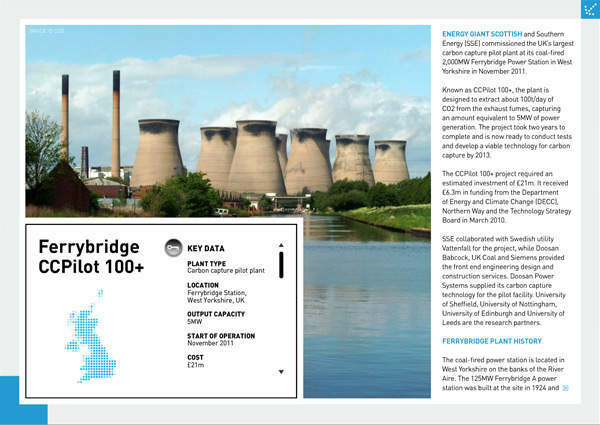 The CCS pilot project at SSE’s Ferrybridge power station is the largest operating CO2 capturing facility in the UK. We take a look at the demonstrator plant. The tide is slowly turning when it comes to adoption of marine and tidal power, but as any industry grows so does the legal burden surrounding it. 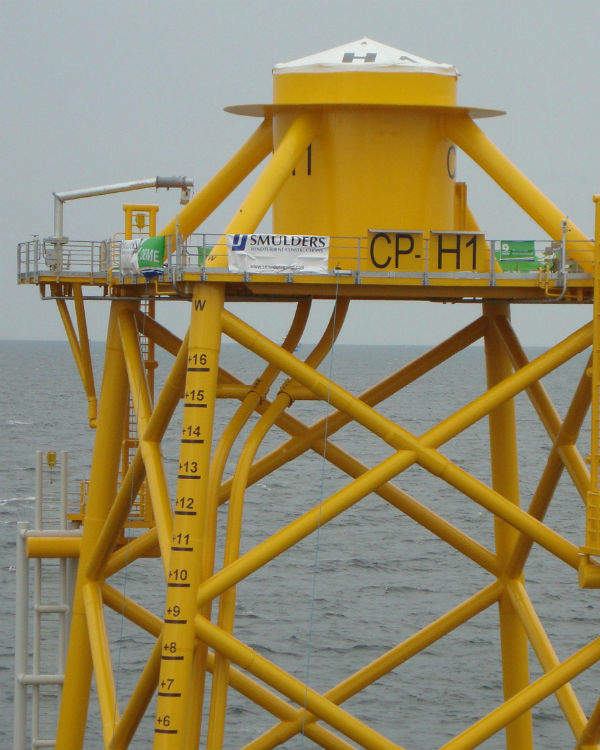 In the next issue we investigate how ownership of the seabed may affect the industry and profile a recent move by the UK’s Crown Estate to reduce fees associated with using coastal zones for power production. We also explore the world’s locations with the greatest wave power potential and the efforts being made to harness energy in these areas. New technologies are driving the ocean power sector forwards as costs come down. We speak to innovator Atlantis about its AR1000 tidal turbine, and ask Ecotricity how its new Searaser technology could improve the output of marine power installations. Sign up for your free subscription to get future issues delivered directly to your inbox.